Before oxygen assessment, non-specialist or temporary order whilst awaiting oxygen assessment. The HOOF A has sections to order long term oxygen therapy (LTOT) and back up oxygen cylinders. After specialist or paediatric oxygen assessment. The HOOF B has sections to order LTOT, back up oxygen cylinders and ambulatory oxygen supply. 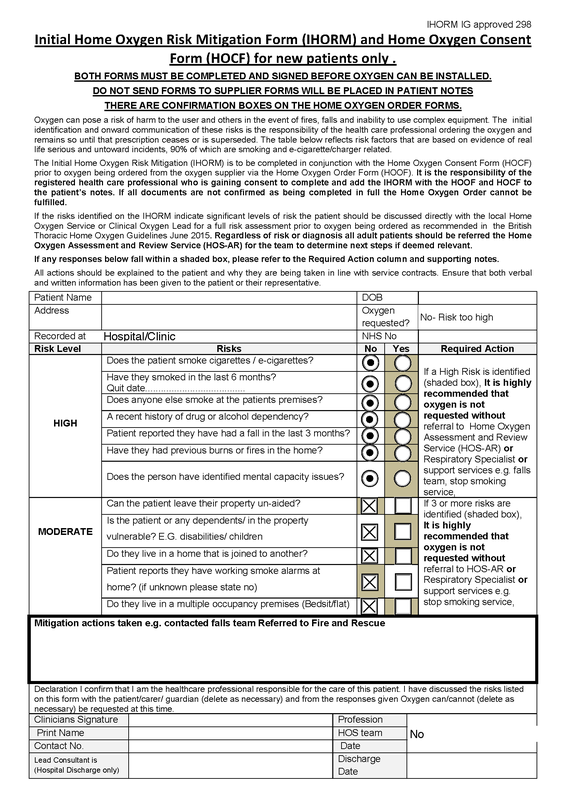 You can use the Mode of Supply Tool if you require assistance with completing a HOOF if you are a registered user to assist with modality selection and order form completion. Click here for access. If you do not have access to a HOOF please contact your local home oxygen assessment team, respiratory specialist service or CCG/LHB home oxygen lead. If you are unsure of who to contact in your Region please contact us and we will be able to advise you. For further advice on prescribing please follow one of the below links to the British Thoracic Society (BTS) Royal College of Physicians (RCP) or the British Paediatric Respiratory Society (BPRS). The British Thoracic Society (BTS) was formed in 1982 by the amalgamation of the British Thoracic Association and the Thoracic Society. It has grown to include medical practitioners, nurses, scientists and any professional with an interest in respiratory disease. The preservation and protection of public health by the provision of information in matters concerning respiratory and associated disorders and how they might be prevented. 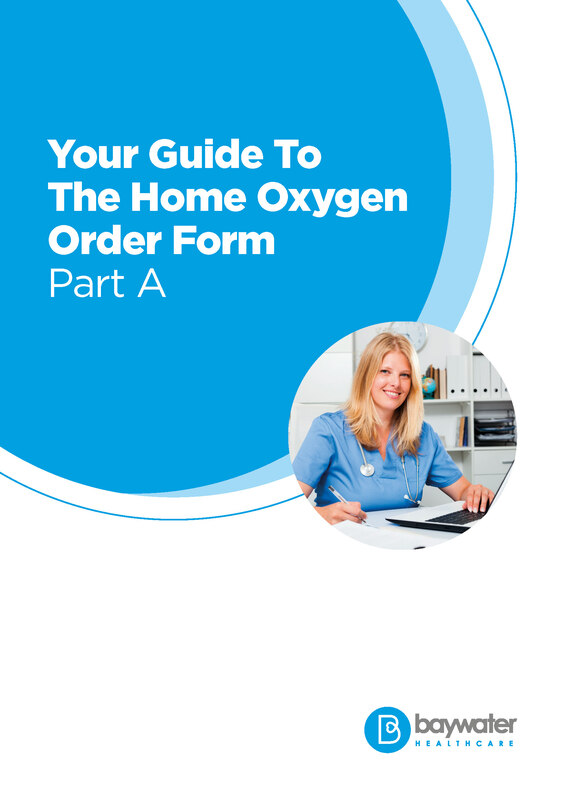 The website contains all the latest guidelines for the oxygen service and has all the relevant documentation available to download. The Royal College of Physicians is a registered charity that aims to ensure high quality care for patients by promoting the highest standards of medical practice. It provides and sets standards in clinical practice and education and training, conducts assessments and examinations, quality assures external audit programmes, supports doctors in their practice of medicine, and advises the Government, public and the profession on healthcare issues. The RCP’s vision is to see doctors educated and trained to the highest medical standards, delivering care to patients that is of the highest quality. The College’s vision encapsulates our role in building, protecting and strengthening the values of the medical profession, and acting as its authoritative voice. The RCP website also contains a report on the clinical guidelines and advice for prescribers. This report has been prepared for those involved in the care and assessment of patients with respiratory and cardiac disease who require domiciliary oxygen. In particular, it is targeted at general practitioners and general physicians, geriatricians, palliative care physicians and cardiologists. To advocate excellence in provision of, and equity of access to clinical services for children with respiratory disease. To set and maintain standards of care in paediatric respiratory medicine. To promote education and training in paediatric respiratory medicine. To foster co-operation and friendship between all those involved in the care of children with respiratory disease. To promote research into paediatric respiratory disease.